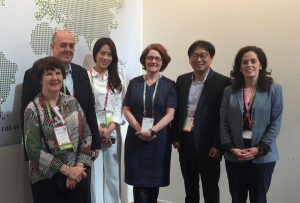 INCON, the international partnership of leading conference, event and association management companies, has announced the addition of Goyang Convention Bureau (Goyang CVB) in Korea as a new preferred supplier. INCON is continuously looking to develop strategic alliances with likeminded industry leaders and we aim to strengthen these relationships through the INCON Preferred Supplier Program. Goyang has all the basics of a good host in a unique Asian setting. The city is home to Korea’s largest exhibition and convention center KINTEX (Korea International Exhibition Center). With a location just north of Seoul, Goyang is connected to all international airports. Goyang has become an exemplary leader among other cities in South Korea, in areas such as regional economic vitalization, convenient transportation systems, environmental friendly residential areas and time-honored history. It also boasts world-class hotels, restaurants, venues, shopping and sightseeing spots.